Hedge funds and large money managers usually invest with a focus on the long-term horizon and, therefore, short-lived dips on the charts, usually don’t make them change their opinion towards a company. This time it may be different. During the first 6 weeks of the fourth quarter we observed increased volatility and small-cap stocks underperformed the market. Hedge fund investor letters indicated that they are cutting their overall exposure, closing out some position and doubling down on others. Let’s take a look at the hedge fund sentiment towards Norfolk Southern Corp. (NYSE:NSC) to find out whether it was one of their high conviction long-term ideas. Norfolk Southern Corp. (NYSE:NSC) was in 49 hedge funds’ portfolios at the end of the third quarter of 2018. NSC investors should pay attention to an increase in hedge fund interest lately. There were 42 hedge funds in our database with NSC positions at the end of the previous quarter. Our calculations also showed that NSC isn’t among the 30 most popular stocks among hedge funds. Let’s take a gander at the recent hedge fund action encompassing Norfolk Southern Corp. (NYSE:NSC). How are hedge funds trading Norfolk Southern Corp. (NYSE:NSC)? At Q3’s end, a total of 49 of the hedge funds tracked by Insider Monkey were bullish on this stock, a change of 17% from one quarter earlier. 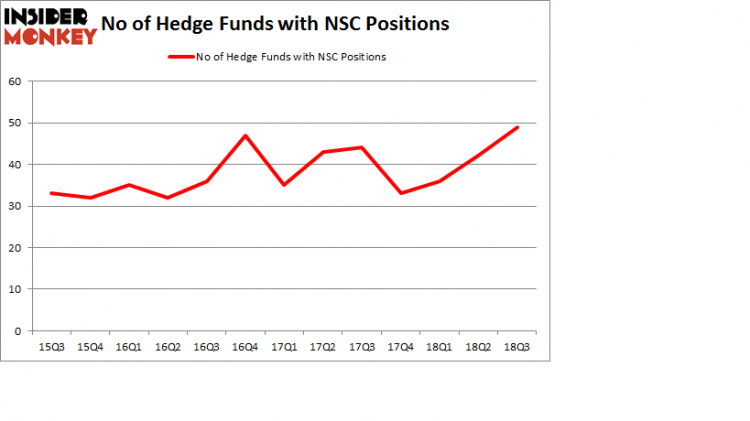 On the other hand, there were a total of 33 hedge funds with a bullish position in NSC at the beginning of this year. So, let’s find out which hedge funds were among the top holders of the stock and which hedge funds were making big moves. More specifically, Soroban Capital Partners was the largest shareholder of Norfolk Southern Corp. (NYSE:NSC), with a stake worth $400.9 million reported as of the end of September. Trailing Soroban Capital Partners was Point State Capital, which amassed a stake valued at $218.2 million. Citadel Investment Group, Impala Asset Management, and Scopus Asset Management were also very fond of the stock, giving the stock large weights in their portfolios. Now, key money managers have been driving this bullishness. Scopus Asset Management, managed by Alexander Mitchell, assembled the most valuable call position in Norfolk Southern Corp. (NYSE:NSC). Scopus Asset Management had $135.4 million invested in the company at the end of the quarter. Paul Singer’s Elliott Management also made a $117.3 million investment in the stock during the quarter. The following funds were also among the new NSC investors: David Gallo’s Valinor Management LLC, Lee Hicks and Jan Koerner’s Park Presidio Capital, and Nick Niell’s Arrowgrass Capital Partners. 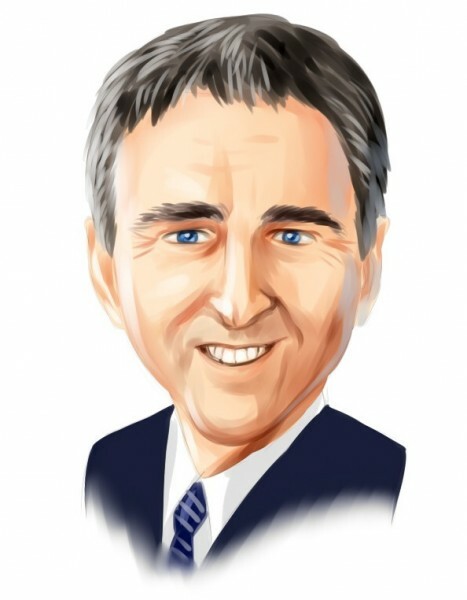 Let’s go over hedge fund activity in other stocks – not necessarily in the same industry as Norfolk Southern Corp. (NYSE:NSC) but similarly valued. These stocks are ING Groep N.V. (NYSE:ING), ABB Ltd (NYSE:ABB), Vertex Pharmaceuticals Incorporated (NASDAQ:VRTX), and S&P Global Inc. (NYSE:SPGI). All of these stocks’ market caps match NSC’s market cap. As you can see these stocks had an average of 28.5 hedge funds with bullish positions and the average amount invested in these stocks was $1.85 billion. That figure was $2.09 billion in NSC’s case. S&P Global Inc. (NYSE:SPGI) is the most popular stock in this table. On the other hand ING Groep N.V. (NYSE:ING) is the least popular one with only 8 bullish hedge fund positions. Norfolk Southern Corp. (NYSE:NSC) is not the most popular stock in this group but hedge fund interest is still above average. This is a slightly positive signal but we’d rather spend our time researching stocks that hedge funds are piling on. In this regard SPGI might be a better candidate to consider a long position.